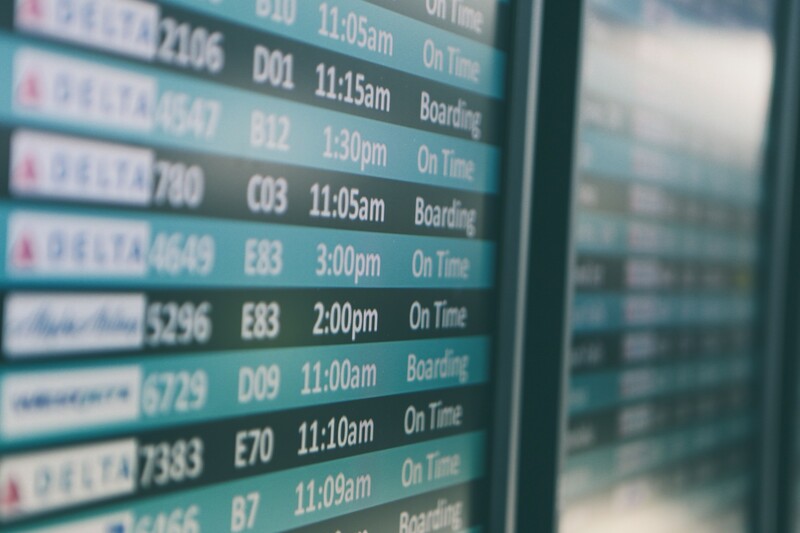 How can technology help catch your flight? Couple design ideas to improve current services. No. There is no best way technology can help you catch a flight. Go to the airport at the scheduled time and wait. That’s all you should do. What’s if you just don’t want to spend meaningless time at the airport? You may encounter what happened to me. First you open your gmail, find the boarding pass email buried somewhere in your inbox. You may have starred it, great, it’s right there on top. You open the email, double check the airport and departure time. You open google map now and calculate when you should set off from where you are. 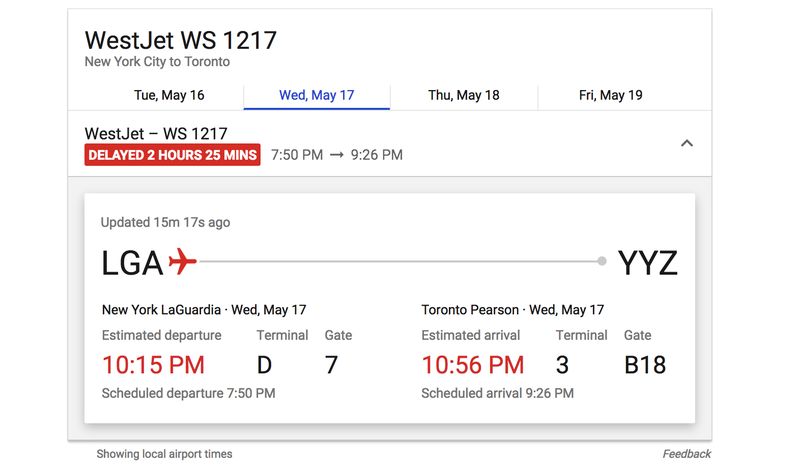 After going through all these, you think it might be better to check if there is an update, so you input the flight number into google, and boom… without going into a specific web page, google already pulls out the flight information you need as a card below the search box. It says…delayed 2 hours 10 minutes! Well…ok, now what? When I was sitting at home enjoying my burrito, tragic happened when i checked google for another time. The departure time was in 5 mins! I couldn’t believe what i was looking at and dying inside thinking that it must be the end of the story. BUT wait! Just as I went into the website of westjet official flight status, it showed up to be 36 mins from now! Turned out that google was not syncing data fast enough. It would take me about 25 mins to arrive at the airport so I was totally lost for maybe a precious one minute deciding should I go or not. Finally, I called an uber and jumped onto the car. There came the moment when I felt so helpless looking at the countless folders of apps I have on my phone. They all looked the same to me at that moment. My brain was totally blank and couldn’t think straight enough to figure out a clear path to use the apps I have to help me catch the flight. I wanted to call the customer service of westjet to confirm the final departure time, but the phone number didn’t show up in the boarding pass email. My instinct was to look for a number through google map as I want to make a reservation in a restaurant. The second I tapped on google map, I realized how hilarious I could be. After figured out the customer service number on google search, I called and was asked for the confirmation number. Fumbling through all the emails I got from westjet, nothing matched. The representative kindly asked me for last name instead and told me she couldn’t access the boarding time. This totally drove me nuts. Only if you are curious about the ending: yes I missed my flight and because apparently this thing happens everyday with the same flight so they changed my flight schedule without asking. Looking back, it seemed so ironic that simply because I was overconfident in the amount of information I can easily access to on phone made me being careless of what I was supposed to do. At the end of the day, those apps and services were like a big joke laughing at me, while I was sitting in an uber, looking blankly on the phone screen. Really? I still can’t help wondering till this day - Is there really nothing that existing apps can be improved to help me catch my flight? I tried to brainstorm some ideas here. It does a good job letting me save my boarding pass and I appreciate the convenience it provides instead of fumbling through my email to look for the QR code. But why can’t it simply update the boarding and departure time as it changes? Banner notification sticking to my locked screen and bugging me with an two hours ago departure time isn’t helpful. I always have a mix feeling towards the smart messaging categories which helps curate incoming emails into different tabs. For the tab that the machine doesn’t think it’s important, it won’t annoy you with a notification. The flight departure times had been updated and sent out as emails five times before it finally departed. They all went to my “update” tab where a lot of newsletter end up going, even it’s with “important” in the subject title and I manually starred it back then. What if it is able to ask me if I want to turn on the notification for this thread or ask me to move it to “primary” tab, considering the frequency it sends out, the importance of content and my previous starring and checking behavior. Or it could be a “flight” tab which stores all my flight information with notification enabled. I’ve long been thinking why google search doesn’t allow users to subscribe to flight updates after searching for its flight number or receiving a confirmation email from the airline. Primary email will be sent out with notification according to the role you‘ve subscribed to (e.g. passenger, seeing off, or picking up). So far ride sharing apps like uber and lyft can only schedule a future pick up time. However, oftentimes the situation is the other way around, because instead of when to set off, you know you have to arrive at an appointment by a certain time. 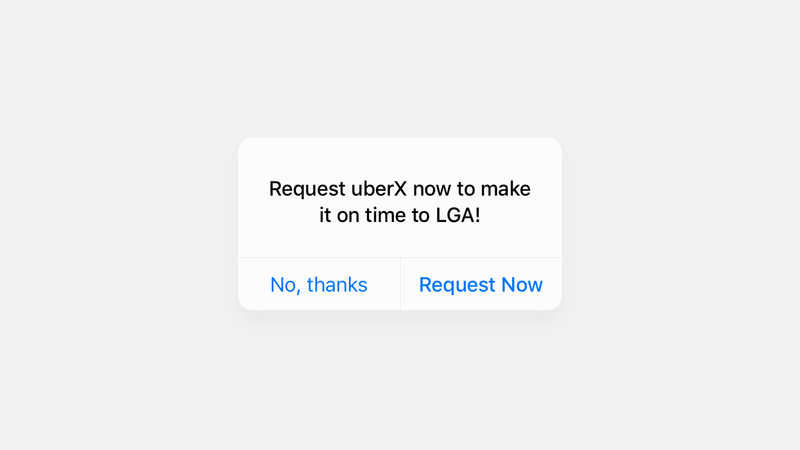 If I’ve already decided to use ride sharing service to get to the airport, I can input my scheduled arrival time, then the app will notify me when is the best time to call a car based on my current location. Usually I don’t download the airline apps simply because i don’t think they can provide me with any more useful information than what I can get online. I downloaded the westjet app just for research purpose. It allows me to buy flight ticket (which it’s much more easier just searching on google flight for the cheapest price), see my trip info (as discussed above, there are numerous alternatives like apple wallet), connect to wifi on plane (I’m sure this won’t be the only entry point since you can’t download the app on plane anyway just for connecting), and personal setting. I checked out what’s inside “my trips” tab, but not surprised, I couldn’t even find a customer service number for this trip. I wonder what if, the app can utilize what is called “progressive disclosure” method to display sensitive information when it’s helpful. For example, Airbnb only displays the host location on the app home screen on your check in day. Can the app display the phone number of the airline counter at the airport I am heading to when it gets closer to my departure time? If I have the number to contact in advance, I’d have had a much more efficient conversation in person when I finally get to the airport. Who knows if that would help me catch my flight? Having said all of these potential improvements above, all I dream of is actually an all-in-one app/assistant that can help me with all the flight information needed.